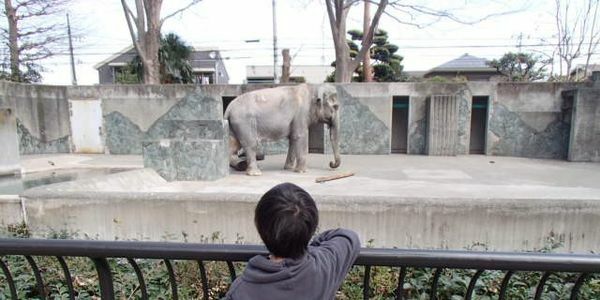 petition: Inokashira Park Zoo in Tokyo: Hanako lives for 61 years alone in a concrete prison! Give her a real life or send her to a sanctuary! Inokashira Park Zoo in Tokyo: Hanako lives for 61 years alone in a concrete prison! Give her a real life or send her to a sanctuary! IMPORTANT: WE HAVE NOW ESTABLISHED CONTACT WITH HANAKO'S ZOO AND NOW NEED YOUR HELP TO FUND OUR TEAM'S TRIP!!! Hanako has lived for over 60 years alone, in a barren cement pen. Now there is finally hope for change. Every dollar counts. Every share counts. Please visit the funding campaign for Hanako and pitch in! Hanako is a 69-year-old Asian elephant who has lived in shameful conditions at the Inokashira Park Zoo in Tokyo for the past 61 years. She was transported in 1949 from Thailand to Japan when she was just two years old, to what would become her life-long prison. And ‘prison,’ is not an exaggeration. Blogger Ulara Nakagawa saw Hanako while visiting the zoo, and was shocked to see the conditions of her confinement. Ulara writes in her blog that it looks like "one of the cruellest, most archaic zoos in the modern world." Hanako is completely alone in a tiny cement enclosure with nothing to comfort her or provide stimulation. She just stands there, appearing almost lifeless , since there is nothing else for her to do. It was beyond painful for Ulara to take in Hanako's pitiful situation. Hanako is a 68-year-old Asian elephant who has lived in shameful conditions at the Inokashira Park Zoo in Tokyo for the past 66 years. She was transported in 1949 from Thailand to Japan when she was just 2-years-old, to what would become her life-long prison. And ‘prison,’ is not an exaggeration. Please make sure Hanako lives out her last days in the comfort she deserves. She should be sent to an elephant sanctuary. If this is not possible, she needs to be given medical assistance and a new, enriched enclosure where she can interact with other elephants. She should not be forced to live in a concrete prison. I have some sad news. Hanako, Japan's oldest and loneliest elephant, has died. After meeting with animal welfare experts and receiving the Care2 petition with over 469,000 signatures, Inokashira Park Zoo had agreed to make Hanako's enclosure more comfortable. Unfortunately, she died before they did anything. But Hanako wasn't the only elderly elephant in need. Please sign the petition to free Mo Mo before she too dies in a cell. IMPORTANT UPDATE on the petition to help Hanako the elephant: Thanks to YOU, WE HAVE BEEN ABLE TO SECURE A MEETING WITH HER ZOO!!! We now URGENTLY need to raise travel expenses to get to Japan for this crucial visit, and we only have 22 days left. Please share and contribute to THE FUNDRAISING CAMPAIGN NOW to help Hanako. Every dollar counts.